Ceremonies Sun. 11am, meditation 1:30–3:30pm (Vietnamese language with limited English). 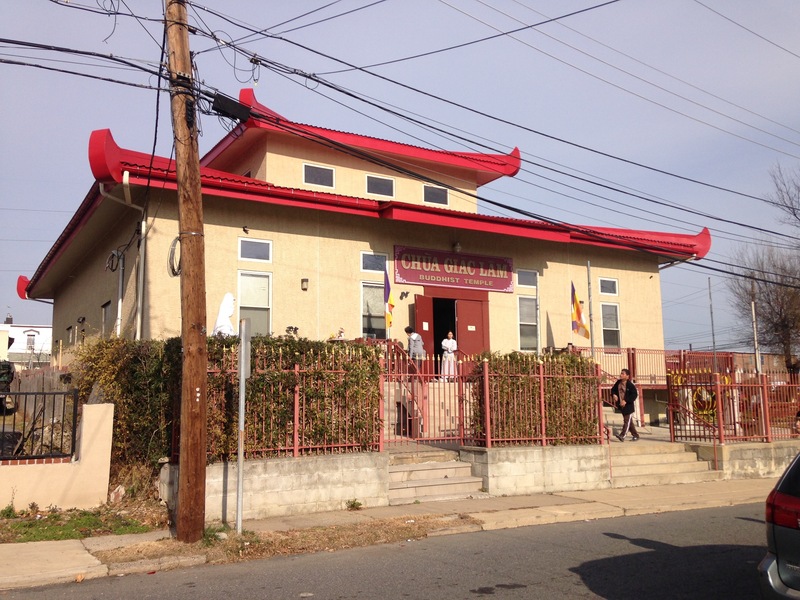 Vietnamese temple with Mahayana services, established around 1980. One monk in residence. 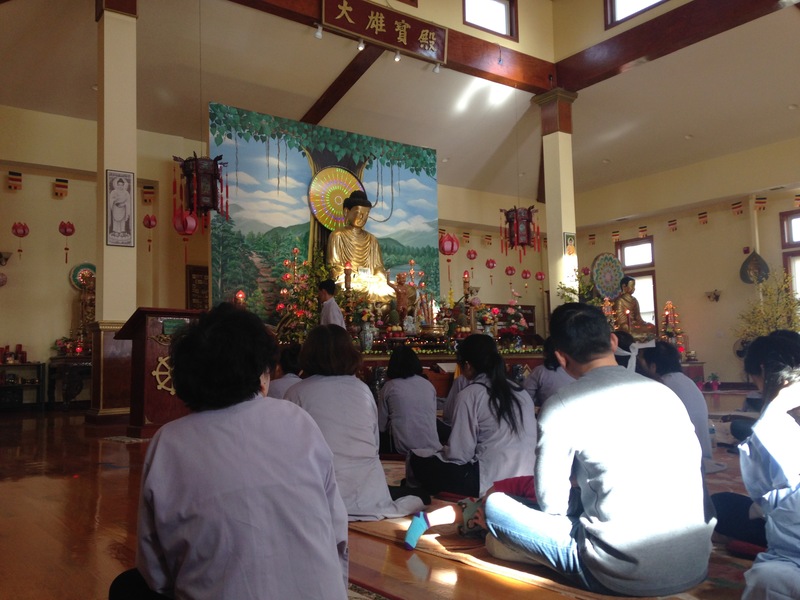 Located west of the city, the temple mainly attracts people of Vietnamese descent, including many families with young children. The temple holds regular events and activities for kids. The main temple hall provides typical Mahayana ceremonies for blessings and alleviation of suffering, often centering around Avalokiteśvara (Quan Âm). There is also a meditation group that meets on the grounds of the temple in a separate building. This group is devoted to practicing jhāna meditation. At the time of our interview, the group itself was 100% Vietnamese, and most members had only limited English ability. However, they were following the teachings and meditation system of a noted Caucasian author and teacher of Theravāda meditation. The meditation group leader described in an interview how jhāna meditation slows down the breath and focuses the mind, which has profound healing effect on the body and mind. He also claimed that whether a person is suffering due to illness or any other trouble, he or she can go beyond it by practicing jhāna meditation to transcend the troublesome situations and not experience suffering.